When it comes to comic book adaptations, most people equate superheroes to them. While superhero books are predominantly adapted into movies, there are a small group of comic book movies that don’t involve superheroes at all. Of these adaptations, only a handful of them are actually decent movies. It’s interesting to see how versatile comic book movies can be when superheroes are taken out of the equation. Some are older, some are newer – but all of the movies here display a wide variety of genres and subject matter. It should be noted that all of the rankings presented here are purely based on personal preference. With that said, most of the non-superhero comic book movies on this list are just great stories. So without further adieu, let’s jump into our top 10 non-superhero comic book movies! RED (Retired Extremely Dangerous) is one of the more obscure DC movies out there. While not necessarily a classic movie, there’s a certain amount of charm to RED. It’s certainly a quirky film at times, but it’s also just a great comedy. If it weren’t for the stellar ensemble cast that it provides, RED would be middling at best. As first DC property not produced by Warner Bros., RED is neither a good nor bad movie. The film is just simply fun to watch – even if it’s ultimately not that memorable. Sam Mendes’ 2002 adaptation of Road to Perdition is easily one of the most prestigious comic book movies out there. 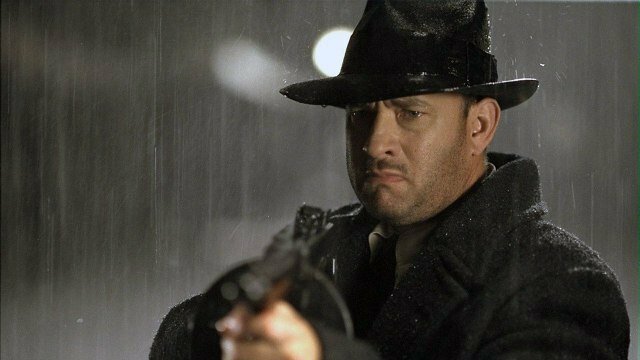 Most people don’t realize the nature of the source material, but Road to Perdition is meticulously crafted in every single way. Although the film rightfully won the Oscar for best cinematography, it’s also deeply affecting on an emotional level. Tom Hanks, Daniel Craig, and especially Paul Newman all give standout performances that stay with you long after seeing the film. 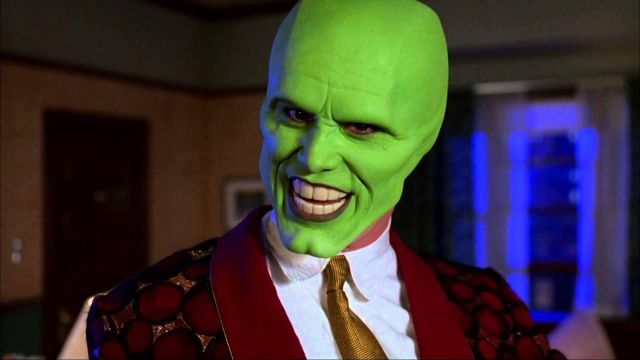 The Mask was notable upon its release for the wonderfully wacky, star-making performance from Jim Carrey. As someone who saw this film as a wee-lad, The Mask was a crucial comic book movie for its time. Yes, the effects are dated, but it’s also just a great movie for kids. While certainly over the top, The Mask still holds up fairly well. Regardless of this, the fact is that The Mask provides a great family-oriented gateway to cinematic comic book adaptations. Oh, and it’s still a whole hell of a lot of fun too. It’s easy to forget that Zack Snyder’s adaptation of 300 was —in many ways — a cultural phenomenon. Jumping off the heels of Sin City, 300 provided the next evolution of a direct comic book translation. As someone who hasn’t (regretfully) had the chance to read the source material, 300 honestly blew me away. It’s an extremely faithful interpretation of the source material, but that doesn’t discount the impact of the film. 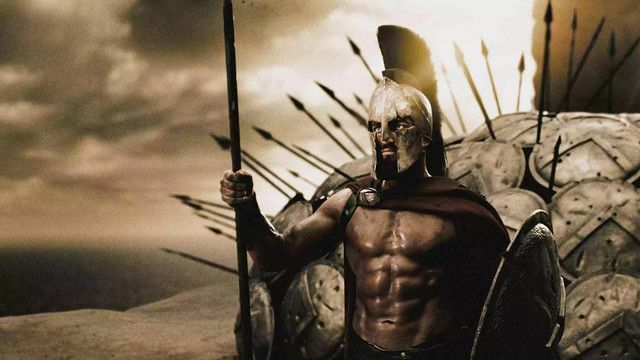 In many ways, 300 is important in terms of widening the genre’s appeal as a whole. The only thing that holds 300 back from being truly great is that it’s ultimately not that re-watchable of a movie. Although I didn’t realize it at the time, Men in Black would be a significant comic book film for me. With the film, Barry Sonnenfeld was able to successfully tap into the core elements of the comic book in a memorable and compelling way. 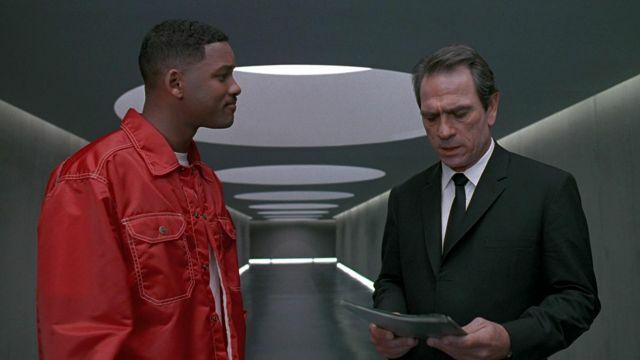 Aside from its origins, Men In Black also features iconic performances from both Tommy Lee Jones and Will Smith. It’s one of the rare comic book movies that have held up extremely well—even twenty years after its release. 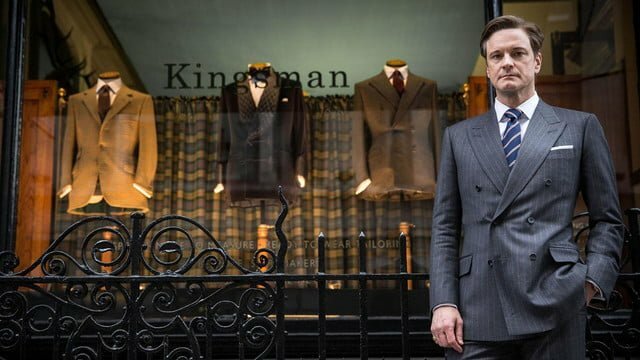 Adapted from the Mark Millar’s comic book series, Kingsman: The Secret Service is a nearly perfect comic book adaptation. What makes the film so great is that it doesn’t take itself too seriously. It’s a deceptively smart movie with mesmerizing performances all around. 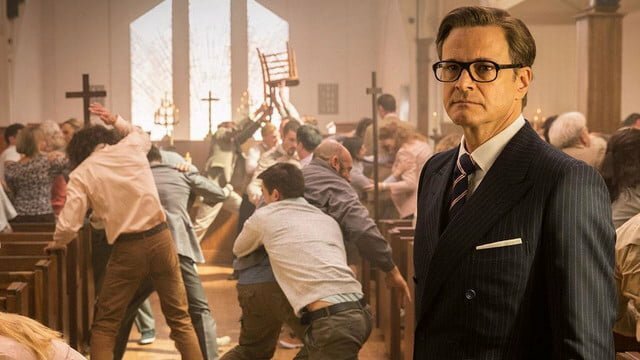 In reality, there’s not much to dislike about Kingsman: The Secret Service — other than the fact that the second film negates much of the goodwill that the first created. 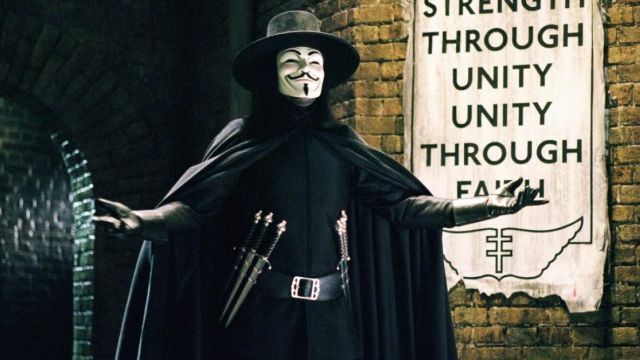 As the highest rated comic book movie on IMDB, V for Vendetta only gets better with age. It took me time to come around to V For Vendetta because I didn’t really get the film at first. More than ever, James McTeigue’s adaptation of the 1988 Alan Moore book draws stark parallels to the modern political climate. 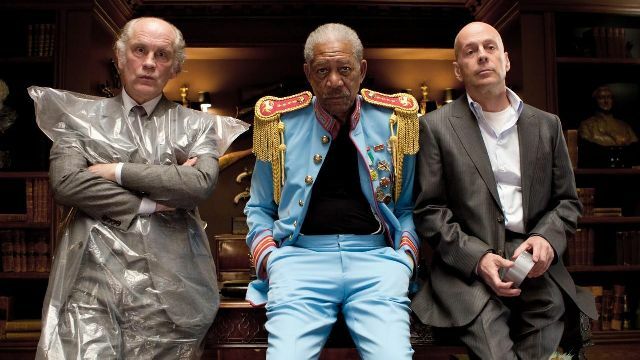 It’s a powerful commentary on the struggle between citizens and the state, however outlandish the film can be at times. Sin City was the first comic book film that I saw which directly translated its source material panel for panel. Considering that it was also one of the first big-budget independent comic book films, Sin City was a monumental achievement. Along with providing an incredible ensemble cast, the film is also notable for it’s unique visual look. Part of this is due to the groundbreaking visual effects and color processing used to create the film. Ultimately, Sin City stands as one of the most pure and unique comic book movies out there—and that’s exactly the reason why I adore the film so much. 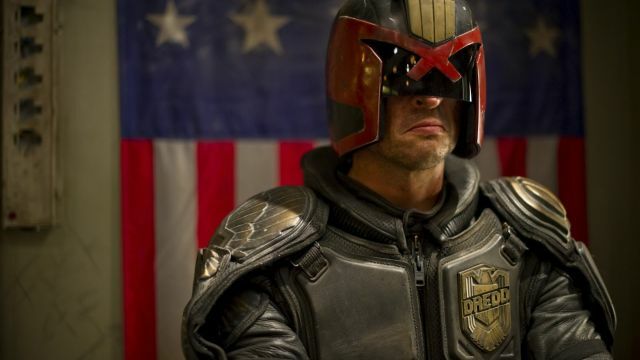 Not many people saw Dredd during its theatrical release. While I was lucky enough to catch the film in the theater, everyone was surprised by how good it was. If we’re being honest, the 1993 Stallone-led adaptation of the source material left a horrible taste in people’s mouth. Whereas that adaptation gets just about everything wrong, 2012’s Dredd offers the most dramatic 180-degree flip in terms of quality. It completely nails not only the character, but also succeeds in building the world of Mega City One. More than anything, it’s a simple story that is ultimately extremely well told. Not to mention probably the best use of 3D for any comic book movie ever released. Superhero or not, Scott Pilgrim vs. The World is easily my favorite comic book adaptation of all time. In many ways, Edgar Wright’s adaptation of the source material is ageless. It might sound hyperbolic, but Scott Pilgrim is also easily my most re-watchable comic book movie of all time. Crafted with an immense amount of care, Edgar Wright’s masterpiece is so dense that I’m still discovering details in the movie, even after over two dozen viewings. It’s true that the ending of the film kind of drops the ball. With that said, the film does so much right that it’s hard to hold the ending of the film against it. It is kind of a shame that more people haven’t given Scott Pilgrim vs. The World it’s due. 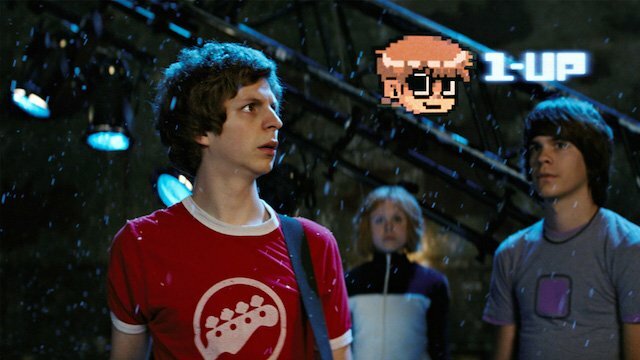 Regardless of this, the film’s unique style, memorable performances and incredible direction make Scott Pilgrim vs. The World my favorite comic book movie of all time.